Full-time, day-off Friday; available by appointment. 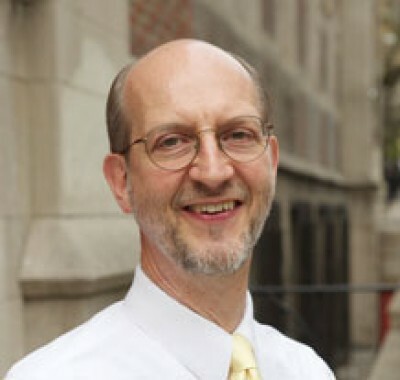 Pastor Jeff is thrilled to be called as the Interim Minister at Broadway UCC. He and his wife, Bonnie Mohan, moved back to NYC in December 2017. Before that, he served for six years as the Associate Pastor at First Church Somerville UCC, in Greater Boston. Originally from Rhode Island, Jeff studied English and Religion at Boston University and received his Master of Divinity at Union Theological Seminary in the City of New York. While in New York, Jeff worked as the Chaplain to the NYC restaurant industry out of Judson Memorial Church in Greenwich Village, and he worked as a labor and community organizer at the Restaurant Opportunities Center of New York (ROC-NY). Pastor Jeff has a lot of passions in ministry including preaching, working with children and families, storytelling, deepening congregational identity, spiritual practice, justice work, and equipping the Church for faithful ministry in the 21st Century. Pastor Jeff is a tea enthusiast (by the pot), a long-distance hiker, cyclist, and all around good time. Jeff and Bonnie reside in Crown Heights, Brooklyn. Rev. Tessa McBrayer is excited to serve as Broadway UCC's Director of Ministry Operations. She assists the congregation with administration, program coordination, communications, and bookkeeping. She participates in worship leadership as well. Prior to Broadway, Tessa received her M.Div. from the University of Chicago, completed a residency in Clinical Pastoral Education, and served as a healthcare chaplain endorsed by the Alliance of Baptists. Some of her favorite things include whimsical stationary, inventive board games, and dark-roast coffee. She and her husband, Alex, live in Brooklyn and love being near Prospect Park. Jared Gilbert is originally from rural Indiana and is a life-long church-goer. With Pentecostal roots, and a journey from evangelicalism through Methodism, he joined the United Church of Christ and Broadway UCC in 2010. He has served on the Board of Stewards since 2014 and was elected board president in 2015. 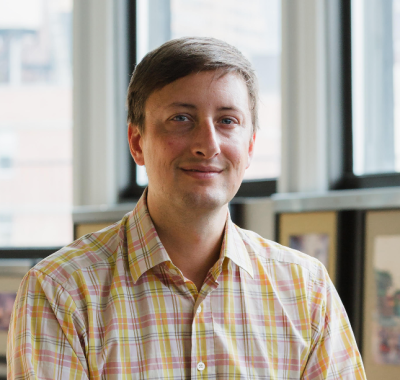 Jared is currently director of communications at COOKFOX Architects. He holds an architecture degree from Ball State University and a Master of Divinity from Yale Divinity School, and his research and writing interests are in the intersections of the built environment, sustainability, spirituality and social justice. In addition to his Board of Stewards responsibilities, he organizes and leads a midweek gathering for worship. Jared lives with his partner in Fort Greene, Brooklyn. Sunday, 3-7PM; available by appointment. Douglas Drake is currently in his twenty-second season serving Broadway United Church of Christ as its music director where he leads the Broadway and Selah Choirs. As chapel organist for St. Hilda’s & St. Hugh’s School, he plays daily chapel services for students and faculty, and he also serves as organist at Eighth Church of Christ, Scientist. A graduate of the College-Conservatory of Music at the University of Cincinnati, he studied organ with David Mulbury. He also administers the Division of Molecular Therapeutics in the Department of Psychiatry at Columbia University’s medical school and the Research Foundation for Mental Hygiene, Inc.
My first seven jobs: Camp Counselor, Director of Christian Education, Animal Care Technician in a pet shop, In-Home Family Therapist, College Chaplain with teaching responsibilities, Pastor, and Customer Service for The Container Store. My eighth job: Director of Children’s Ministry at Broadway United Church of Christ. In the interest of full disclosure there was one other job I had for about five minutes: sewing Elvis jumpsuits for a soft-toy manufacturer (please, DON’T ask). My education prepared me well for the working life: B.A. in Vocal Music, Davis & Elkins College; M.A. in Christian Education, (now) Union Presbyterian Seminary; and M. Div., San Francisco Theological Seminary. Jersey Girl born and bred, but after ten years, can I call myself a proud New Yorker now? I love creative activity, hanging out with Myrrhlyn (my rescue dog), attending rock concerts (Bruuuuuce! ), and anything involving my kayak and/or salt water.